As seen in the new Sundance Now/Shudder series, A Discovery of Witches. The expected snowstorm this weekend pretty much fizzled out, but I was prepared nonetheless… I had planned ahead and was ready to ride it out with the help of comfort food, adult beverages, and of course, an extensive TV watch list. 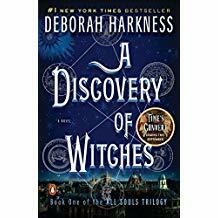 I was especially geeked for the premiere of a new series on Sundance (and sister/horror channel Shudder) – A Discovery of Witches, based on Book 1 of the All Souls Trilogy by Deborah Harkness. The novels take place in a world where witches, vampires, and demons are separate biological species who try to stay under the radar of humans while fighting each other for supremacy and survival. So far, it’s been a fairly faithful adaptation; though the novels, of course, do a better job of character development, and some plot adjustments are required to fit the eight-episode format. The action ranges far and wide between two continents, including rural New York state, Venice, and the French countryside, but a good bit of the story is focused around the University of Oxford and its fabulous Ashmolean Museum of Art and Archaeology. Gifted to the University by Elias Ashmole in 1683, the Ashmolean was Britain’s first public museum and the world’s first university museum. It’s famous for its extensive collection of artifacts and its library full of ancient tomes relating to magic, alchemy, and witchcraft. 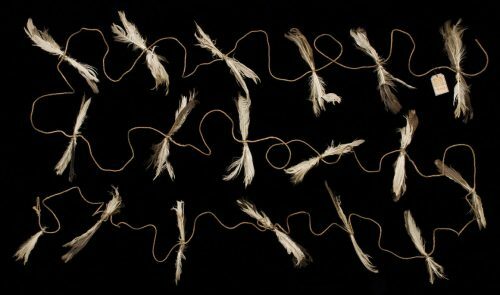 The Ashmolean recently hosted an exhibition entitled “Spellbound” – a fascinating collection of magical objects with incredible stories. From crystal balls and magic mirrors to curse dolls and witch bottles, “Spellbound” explored how our ancestors used magical thinking and magical objects in an attempt to affect the world around them. They ranged from the fantastical and macabre (a unicorn’s horn, a human heart encased in lead) as well as the beautiful and mysterious (exquisitely engraved rings to bind a lover and medieval books of ritual magic). Even in our more skeptical age, we still indulge in magical thinking from time to time. But then, wouldn’t a bit of magic make our everyday lives more exciting? 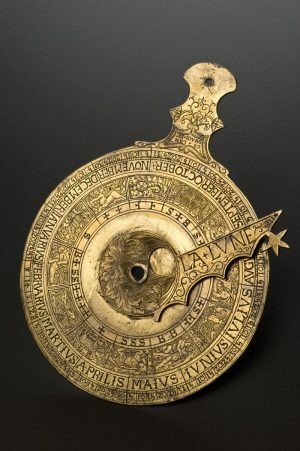 Click here to check out this beautifully illustrated article at Atlas Obscura – including curse objects (a death garland and a witch’s ladder), a witch in a bottle, and a magical crystal once used by the notorious Elizabethan-era astrologer, mathematician, and necromancer, John Dee. Does Forbidden Witch/Vampire romance float your boat? How about Magic and Alchemy? Click here to order Book #1! There is something about seeing these items that is strangely compelling. Whether they have intrinsic power unknown or have merely picked up the uncanny vibrations of a fascinated public’s attention, they call to me. I want them. Or I want to make some of my own… thanks.